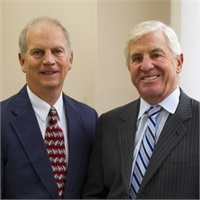 About Us | Edu4Retirement, Inc.
Edu4Retirement, Inc. specializes in retirement plans and retirement planning. Our three core components are retirement plans consulting and services (Business Solutions), individual level planning (Individual Retirement Solutions) and comprehensive wealth services (Wealth Management). We use a goals based approach to problem solving. We work independently with a wide range of products and services to help achieve your goals. Financial products and services are tools that we use to meet your financial objectives, but the overall solutions are developed directly from your goals and aspirations.